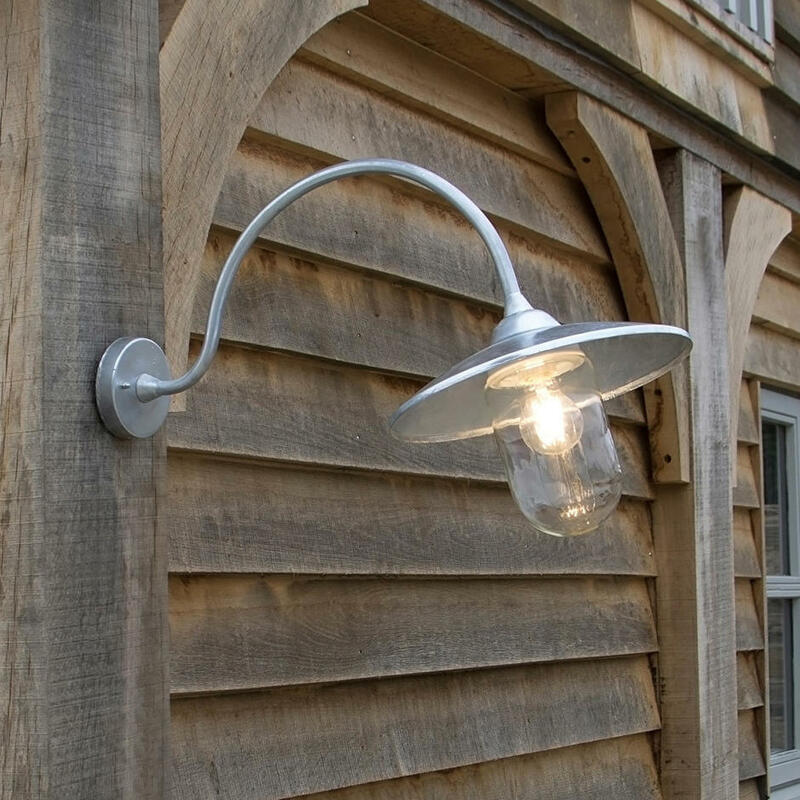 Classic galvanised metal outdoor wall light. 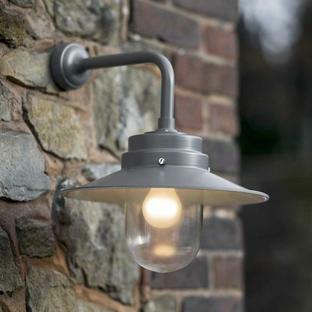 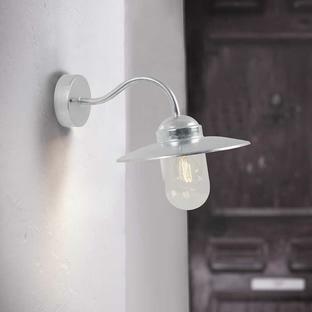 Striking curved swan neck style outdoor wall light, ideal if you need a longer projection on your outdoor wall light. 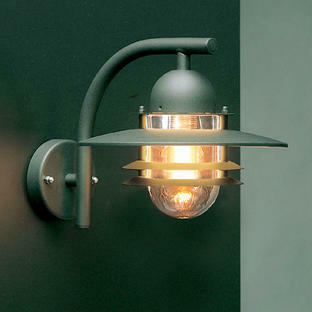 Made from galvanised steel with a glass shade. Suitable for coastal areas as well as urban locations. 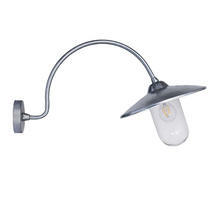 Replacement glass is available please contact us for details.